Women who use a lot of the common pain reliever acetaminophen during pregnancy may be more likely to have children with attention deficit hyperactivity disorder (ADHD) than those who don’t use the drug, a Norwegian study suggests. Researchers analyzed data on almost 113,000 children and their parents, including 2,246 kids who were diagnosed with ADHD. 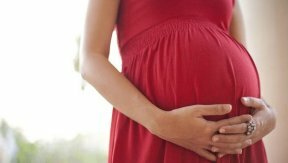 Almost half of the mothers took acetaminophen (also known as paracetamol) at some point during pregnancy, researchers report in Pediatrics. Using the drug during just one trimester was associated with 7 percent higher odds of having a child with ADHD, while the increased risk was 22 percent for women who used acetaminophen in two trimesters and 27 percent with use in all three trimesters, the study found. Short-term use didn’t appear to increase the risk for ADHD. In fact, when women took acetaminophen for less than 8 days, they were 10 percent less likely to have kids with ADHD than mothers who didn’t use the drug at all during pregnancy, the study found. Women used the medicine for fever and infections for 22 to 28 days, however, were more than six times more likely to have kids with ADHD than mothers who avoided the drug during pregnancy. Overall, researchers estimated that about 4 percent of the children in the study would have an ADHD diagnosis by age 13. The study wasn’t a controlled experiment designed to prove whether or how prenatal acetaminophen use might directly cause ADHD. One limitation of the study is that long-term use of acetaminophen during pregnancy might indicate a more serious illness or injury, and researchers lacked data on the severity of conditions that led women to use the drug. Another drawback is that researchers relied on survey data to identify when and how long in pregnancy women used acetaminophen as well as the reasons they took the drug. Many people in the study also didn’t report a reason for using acetaminophen. It’s possible that the connections between acetaminophen and ADHD in the study were merely due to chance, said Dr. Antonio Saad, a researcher at the University of Texas Medical Branch in Galveston who wasn’t involved in the study.